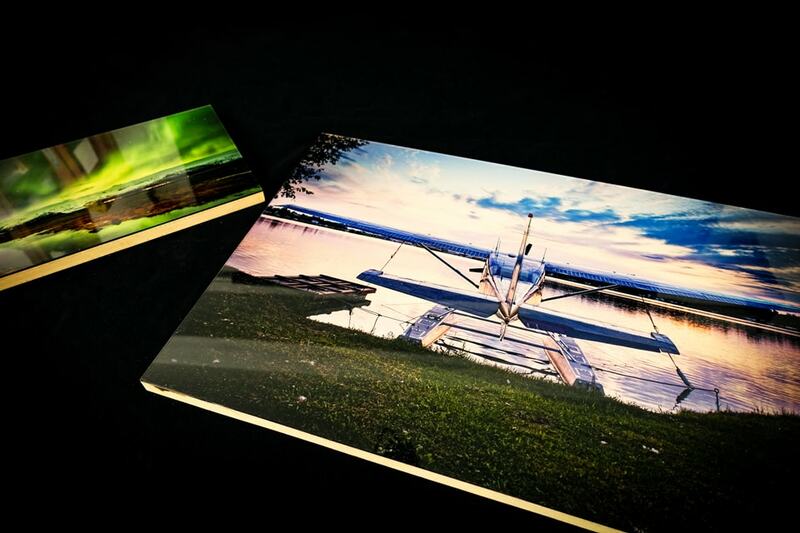 Our trademarked Acrylescent™ mounting system is truly the Rolls Royce of the printing world. Your image is first printed on a Mitsubishi Fine Art Metallic Paper using 11 colors, then layered with a UV protected optically clear film. We then mount it onto 2x Hardwood or bamboo, and every so carefully place a 1/8" crystal clear piece of acrylic over the top. The result is a beautifully rich, almost iridescent image that you won't find anywhere else. 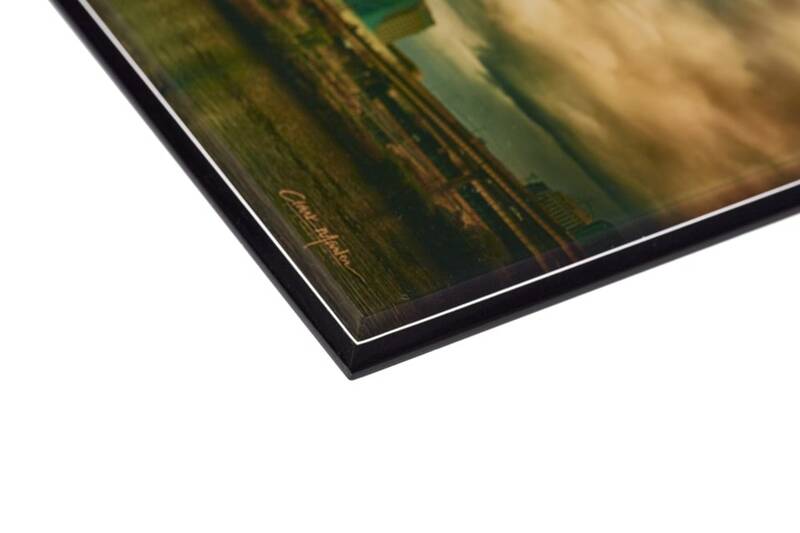 If you want the highest end, most beautiful print you can find, our Acrylescent™ system is the right choice for you. The Black Edition takes everything that's great about our normal Acrylescent™ prints and dials it up to 11. 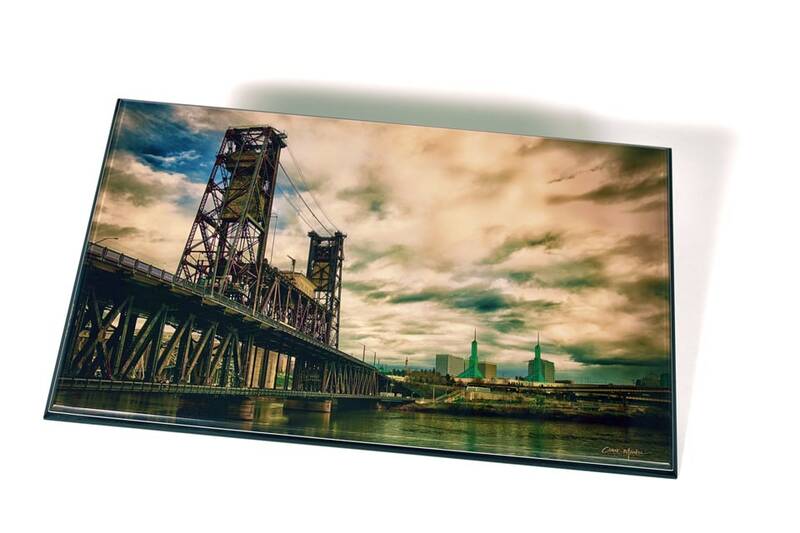 Your image is printed on our Mitsubishi Fine Art Metallic Paper using 11 colors, then laminated with a UV stabilizing film. We then face-mount a UV stable acrylic over that (anti-reflective acrylic is also available), and mount it all onto 1/4" black acrylic. To top it all off, we bevel and polish the edges by hand all around the print to really make it pop - not only do you see the black acrylic from the front, but the metallic paper itself creates a pinstripe around the perimeter for a truly bold, striking presence. Please call us at 406-837-1127 for an acrylescent consultation with John.